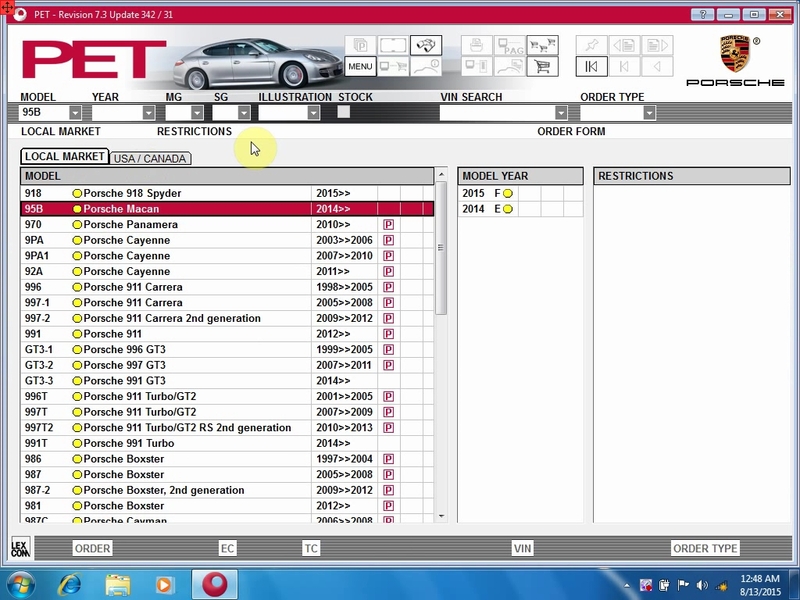 This post is on the detailed information of Porsche PET 7.3 370 Spare Parts Catalog 2015.07V crack version with Multilanguage, including PET 7.3 370 Spare Parts Catalog basic information and setup procedure. 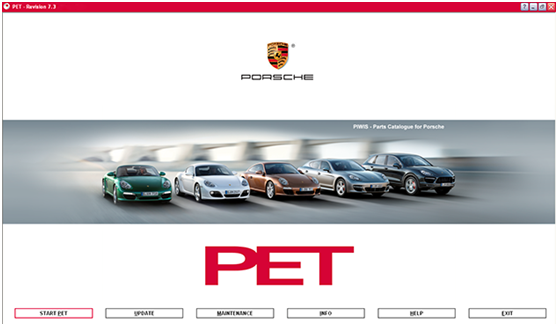 PET is the Porsche Electronic spare parts catalogue and parts book for all regions. 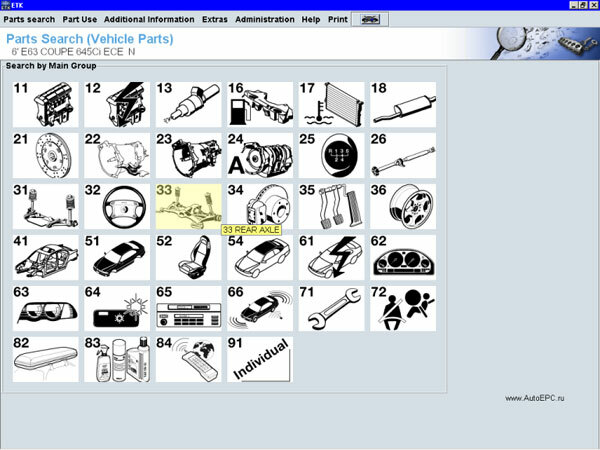 The parts catalog software uses for genuine parts numbers translation by VIN number. 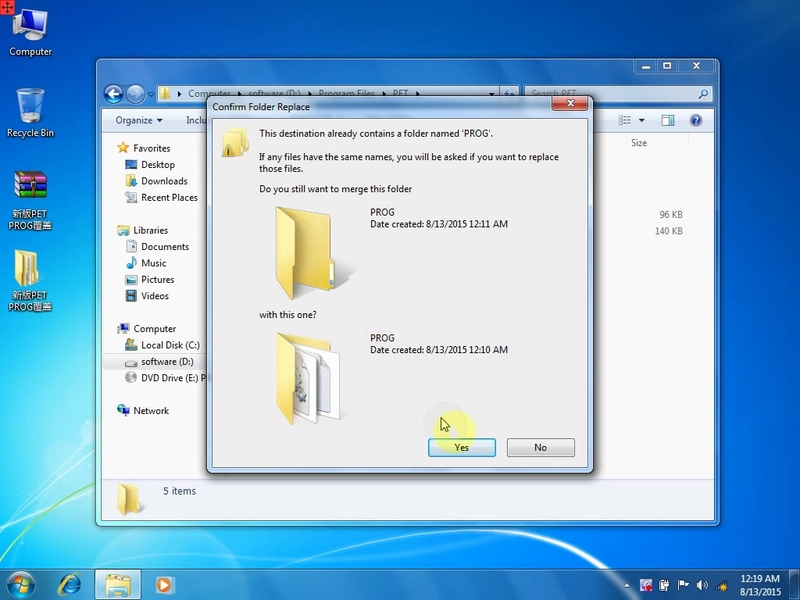 The catalogue is contained in a CD, it is possible to establish for work with use of CD or completely on the winchester. 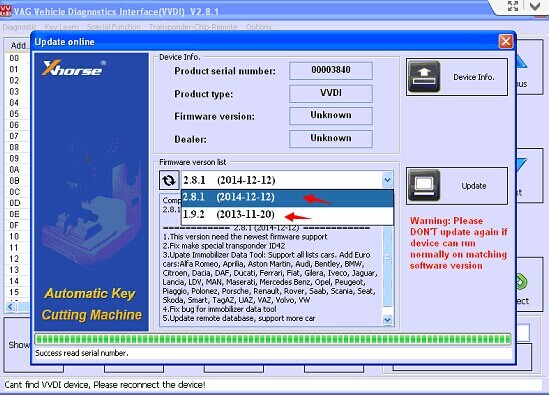 Our Porsche PET 7.3 Spare Parts Catalog is cracked version. 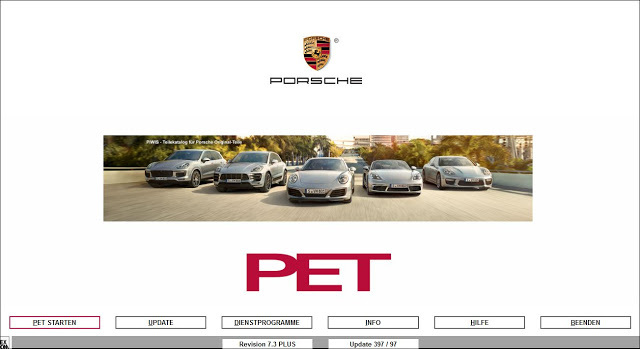 And if you search you will find “free” download Porsche PET 7.3 370, they are not true it is free but they requires update account subscription. 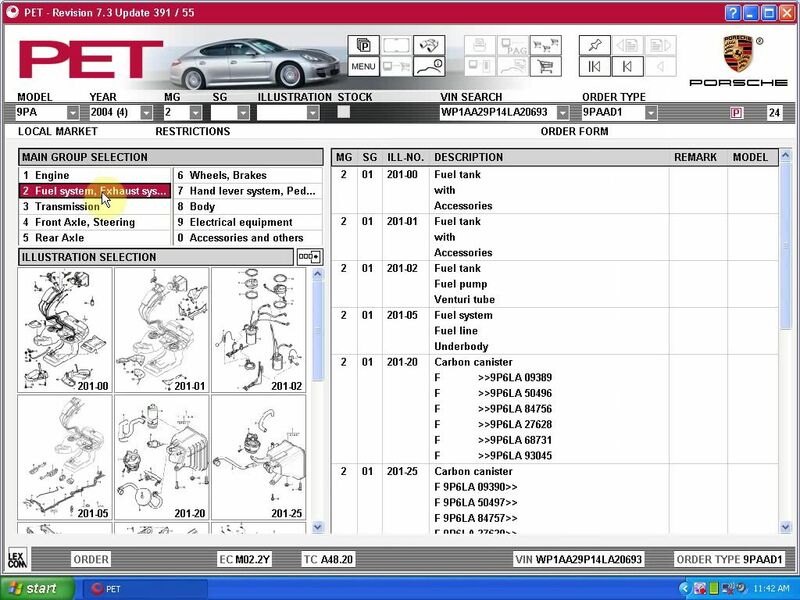 PET 7.3 works with Porsche vehicles models to the whole year long till 2015, for example, it can work with 2015 new cars Porsche Macan and add Porsche wiring diagram as well as service plan. 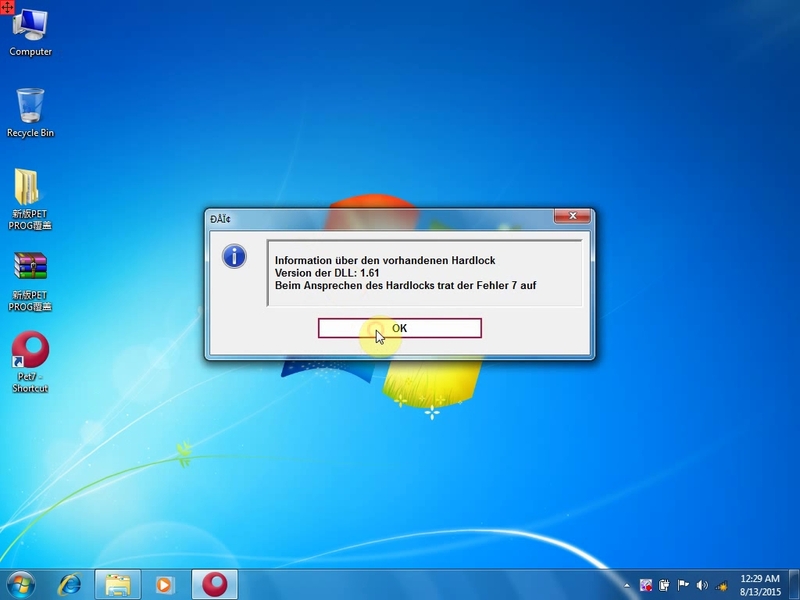 Open DVD “PET7.3”, unzip the bigger file “.rar” to the new folder “Program Files”, and the smaller file “.rar” to the desktop. 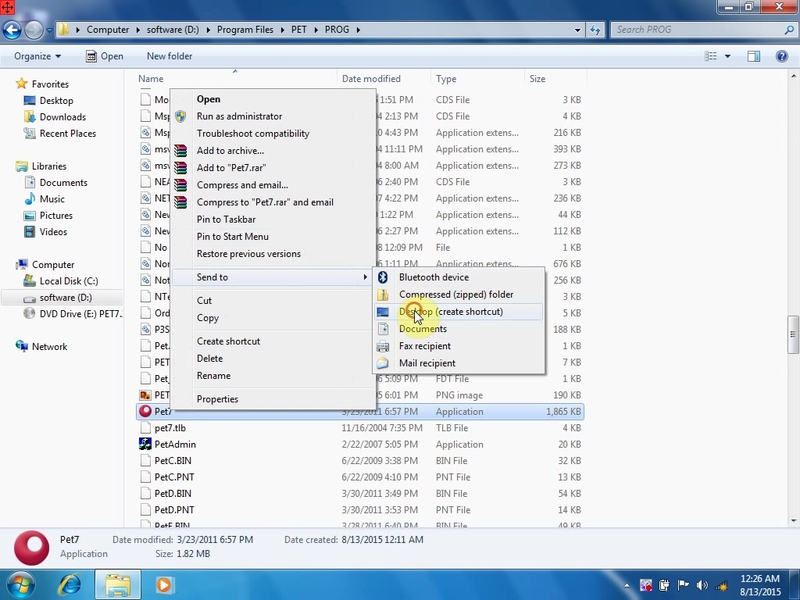 Extract the “PET7.3″ folder on the desktop and the folder in the Program Files”. 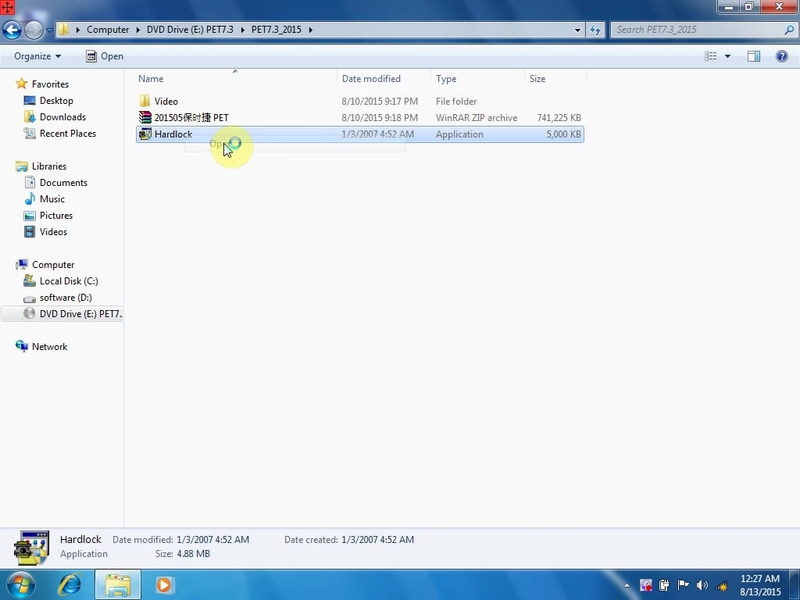 Open disk “(D:) ” – “Program Files” – “PET”, and at the same time cut the folder “New PET…” on the desktop to replace the same named file in the “Program Files”. 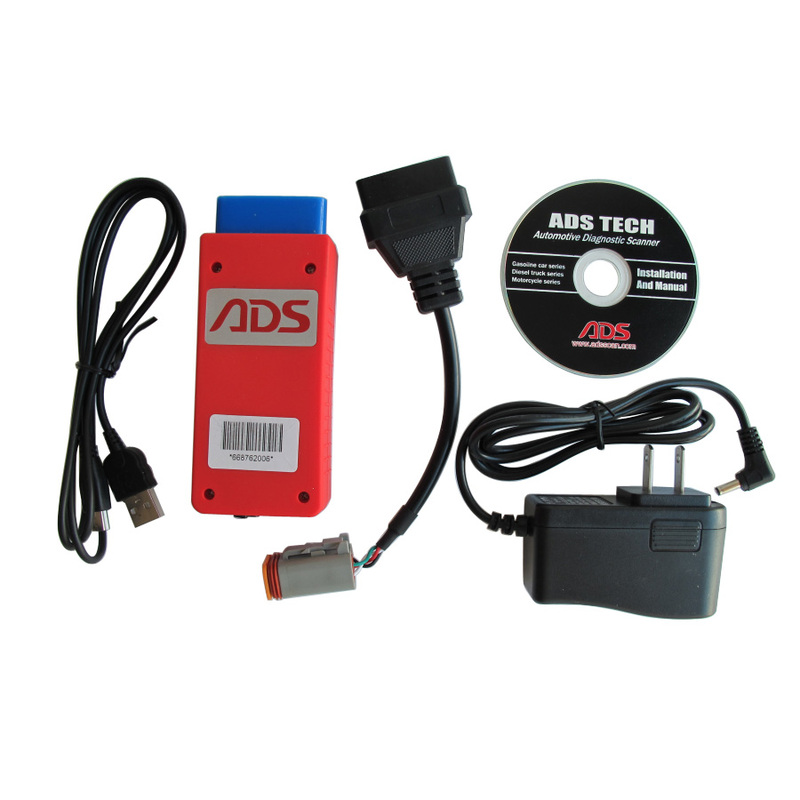 Return to “Program Files” – “PET”, select “Porsche PET Emulator”, then get a window, click “Install / Start Emulator” , then get one more message writting“ The dependency service does not exist or has been marked for deletion. 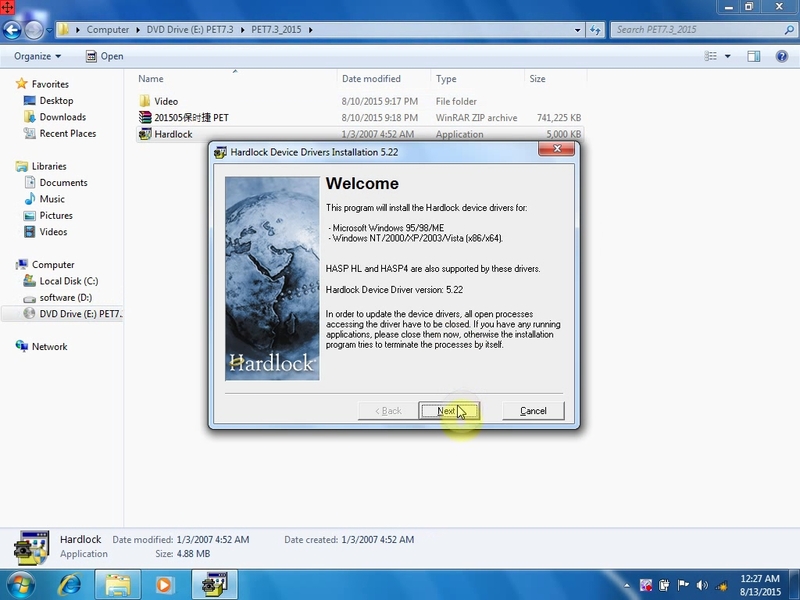 Open DVD Drive (E) PET73 – “PET7.3_2015” – “Hardlock” to install driver. 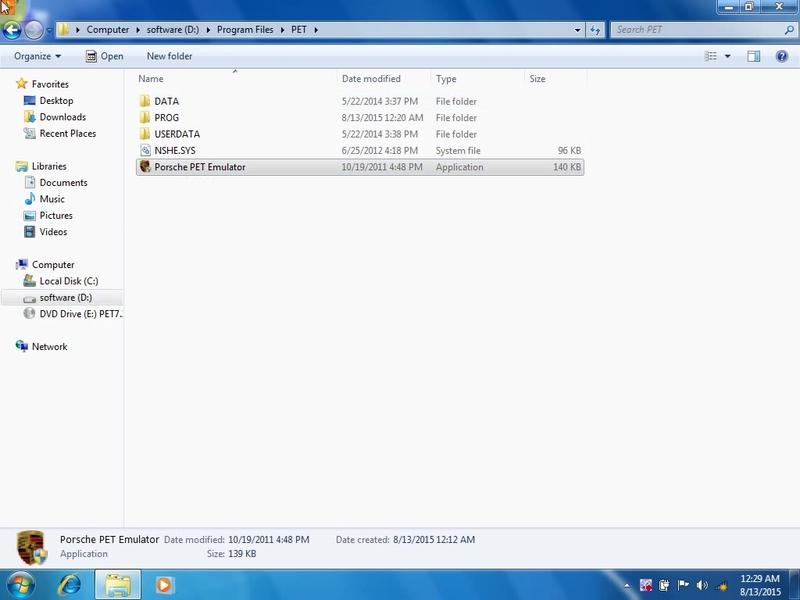 Finally close //E disk. 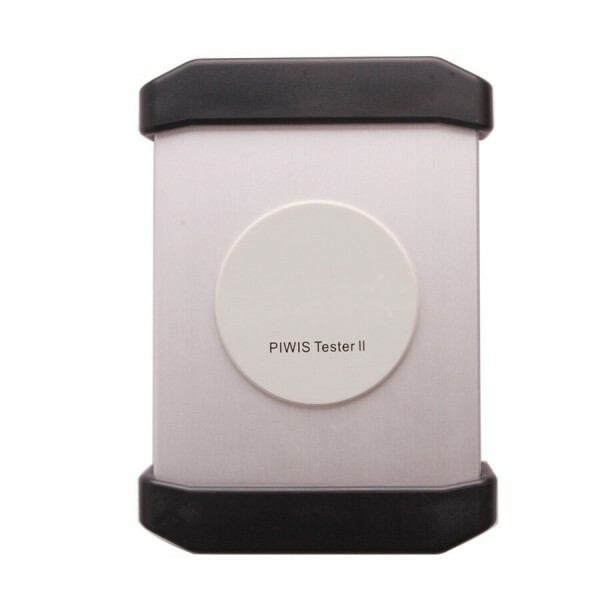 Click “Pet7” on the desktop, and get the following message, click “Ok”. 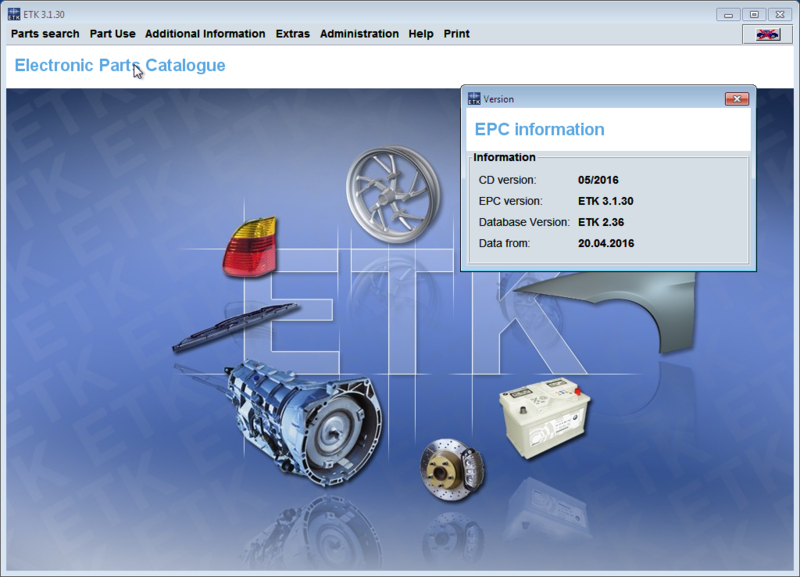 Open //D disk – Program Files – PET, select “Porsche PET Emulator”, then “Install/Start Emulator”, then get message “The specified service already exists”. 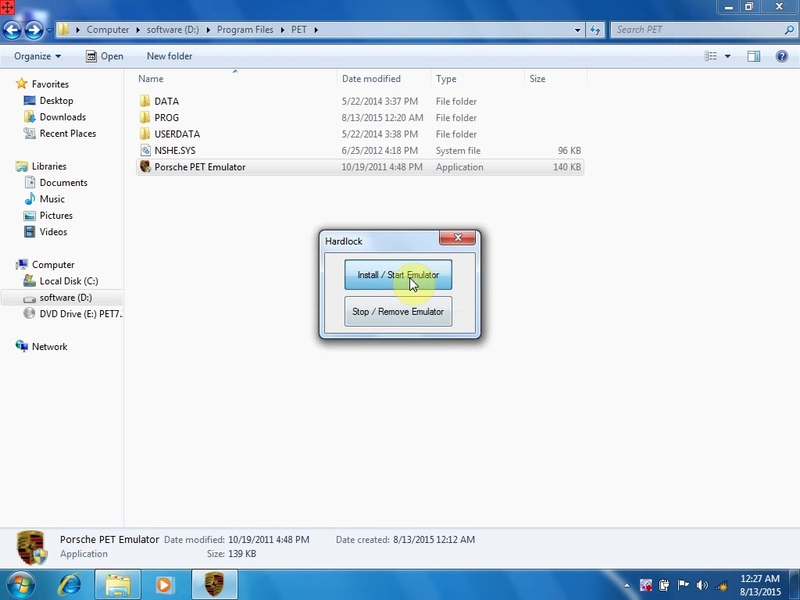 Click “PET7” on the desktop. 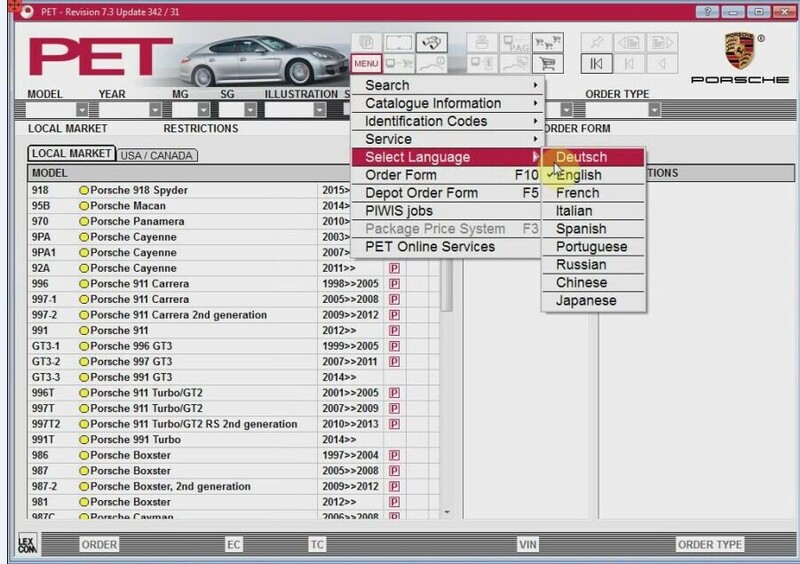 PET 7.3 is Multilanguage, click “Menu” to set the language you like. 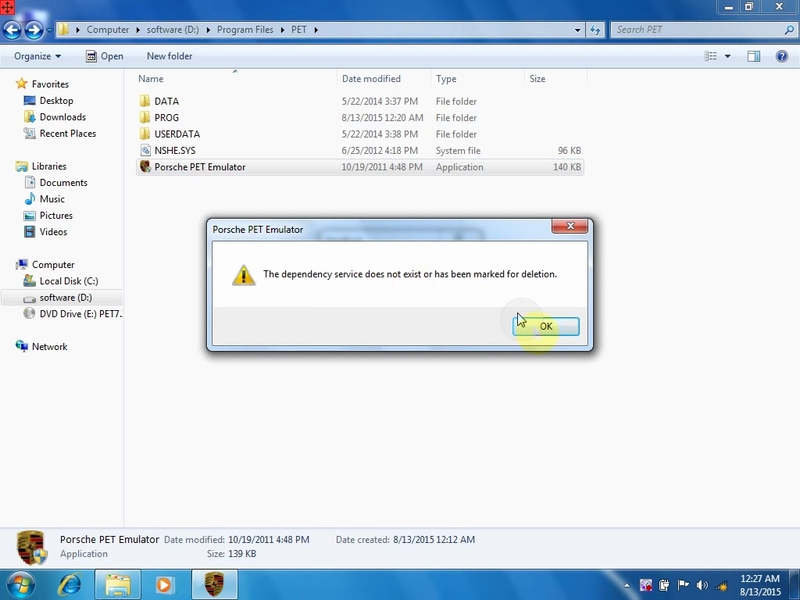 When you click “PET7 shortcut” on the desktop and if you get error 607, click OK or continue to ignore it.